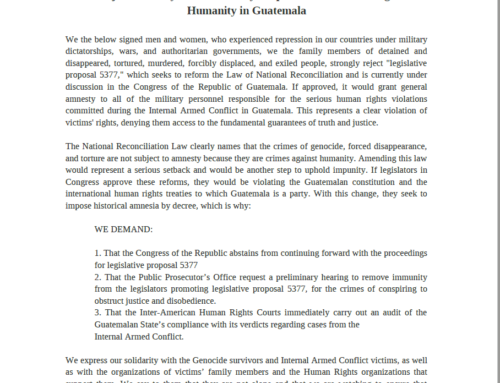 Yesterday, 54 organizations from Guatemala, Latin America, United States, Canada and Europe delivered a letter to the U.S. ambassador to Guatemala, Luis Arreaga. The organizations expressed their concern regarding the U.S. government’s intervention in the case against Tahoe Resources’ Escobal silver mine, a project associated with numerous and well-documented human rights violations. Operations are currently suspended at the Escobal mine until the Constitutional Court emits a final resolution that could lead to the permanent closure of the mine due to discrimination against the indigenous Xinca People and lack of prior consultation. On May 21, the U.S. Embassy issued a public statement that called on the court to issue a final resolution, referencing the importance of the judiciary in creating a stable investment climate to exploit Guatemala’s abundant natural resources. Given the overwhelming opposition to mining throughout the country and the pattern of conflict and violence associated with Tahoe’s project in particular, the U.S. Embassy’s statement is reprehensible. Read a detailed timeline of Tahoe Resources’ lobbying efforts and the US government’s intervention in Guatemala on behalf of the company here. 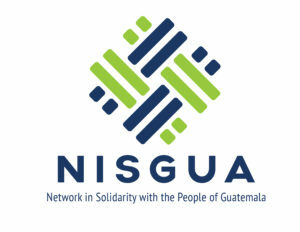 NISGUA has accompanied the communities from Santa Rosa and Jalapa in peaceful resistance to the mine since 2011 . The below signed organizations are deeply concerned about U.S. government interference and threats of international lawsuits, since a Guatemalan court provisionally suspended Tahoe Resources’ Escobal silver mine in southeastern Guatemala. 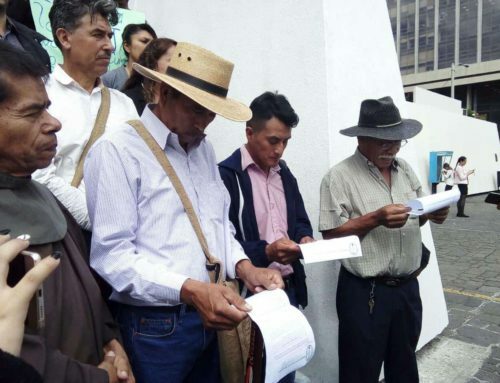 The mine has been suspended by order of the court since July 2017 in response to a suit filed against the Ministry of Energy and Mines for discrimination and for not having obtained the prior consent of the Xinka Indigenous population. One month prior, in a separate community-led initiative, residents from five municipalities began a peaceful protest on the road leading to the mine over concerns about the environmental and social impacts of the project. The protest effectively halted mine activity and continues to date. Since then, U.S. congressmen, representatives of the U.S. Commerce Department, and the U.S. Embassy in Guatemala have made extraordinary efforts to influence the outcome of the lawsuit in favor of Tahoe Resources. On various occasions, U.S. officials have reinforced and repeated the company’s problematic rhetoric via direct communication with the Guatemalan President, in internal letters written by U.S. Congressman Mark Amodei and U.S. Senator Dean Heller that were made public by the company, and in a Congressional letter urging the government to do more to improve the investment climate for U.S. businesses. On May 21st, 2018, the U.S. Embassy in Guatemala released a public statement highlighting the importance of natural resource extraction and calling on the Constitutional Court to “issue without delay” the final resolution on Tahoe’s case. Given the overwhelming opposition to mining throughout Guatemala and the pattern of conflict and violence associated with Tahoe’s project in particular, the U.S. Embassy statement is reprehensible. The U.S. Embassy’s effort to interfere with the independence of the Guatemalan judiciary is out of place and puts environmental defenders and indigenous leaders who are legitimately and peacefully opposing mining projects at greater risk of repression. While U.S. intervention in Guatemala’s independent judicial processes is fundamentally wrong, Tahoe Resources has lobbied for and stated that U.S. intervention will swing the court decision in their favor. On September 25th, 2017, Tahoe CEO Ron Clayton remarked that, upon Tahoe’s request, the U.S. government “had a big influence on even this last court decision”, referring to the Guatemalan Supreme Court ruling earlier the same month, which temporarily reinstated the company’s operating license. Adding to the climate of conflict and pressure on the courts is the threat of international arbitration. On May 8th, 2018, the Washington-based International Law Institute submitted a brief to the Constitutional Court flagging the risk of international arbitration should the court not permit Tahoe Resources to continue operating its conflict-plagued mine. The brief was filed by Guatemalan lawyers whose firm represents Tahoe Resources’ wholly-owned subsidiary in Guatemala, Minera San Rafael. 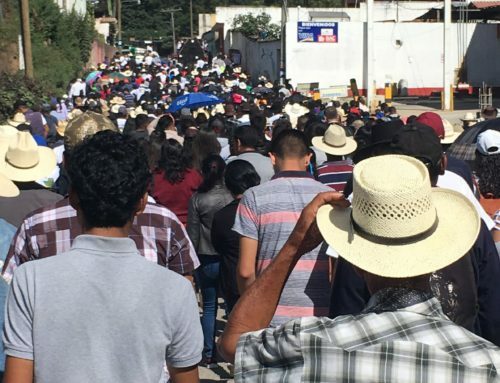 Just over a week later, on May 16th, Nevada-based Kappes, Cassiday & Associates (KCA) filed notice of its intent to sue the Guatemalan government under the Dominican Republic–Central American Free Trade Agreement (CAFTA-DR) for at least US$300 million. 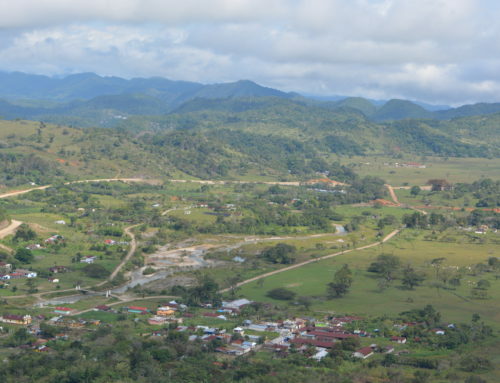 KCA bases its claim on the 2016 suspension of its Tambor gold mine for lack of prior consultation with affected communities, the Ministry of Energy and Mine’s suspension of its export license and an alleged lack of state protection for the company up against community protests that it claims prevent it from further exploration work. 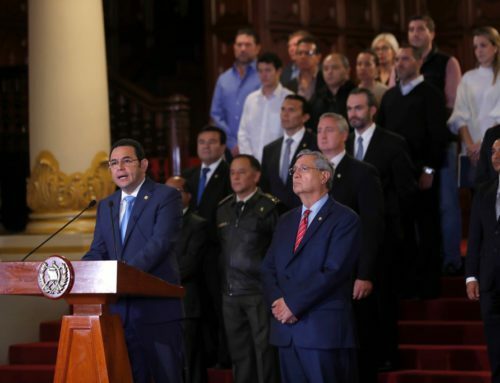 Such interference, through U.S. government lobby and threats of costly international lawsuits against the Guatemalan government, only serve to escalate tensions and cast doubt on judicial independence in Guatemala. These actions heighten the threat of violence and repression against Indigenous and non-Indigenous communities opposed to Tahoe Resources mine, as well as risks for the ongoing peaceful resistance to KCA’s Tambor project. Finding a “win-win solution”, as the U.S. Embassy bulletin states, should not be the priority of the Constitutional Court. Rather, affected communities must be guaranteed due process concerning discrimination and the violation of their right to self-determination. As the Constitutional Court assesses this case, the U.S. Embassy, the mining companies and their associates, must stop interference aimed at pressuring the Court to rule in Tahoe’s favor. We urge the Embassy to retract its most recent statement and take concrete steps to support human rights defenders currently at increased risk for their legitimate and peaceful defense of their land, water, and livelihoods.